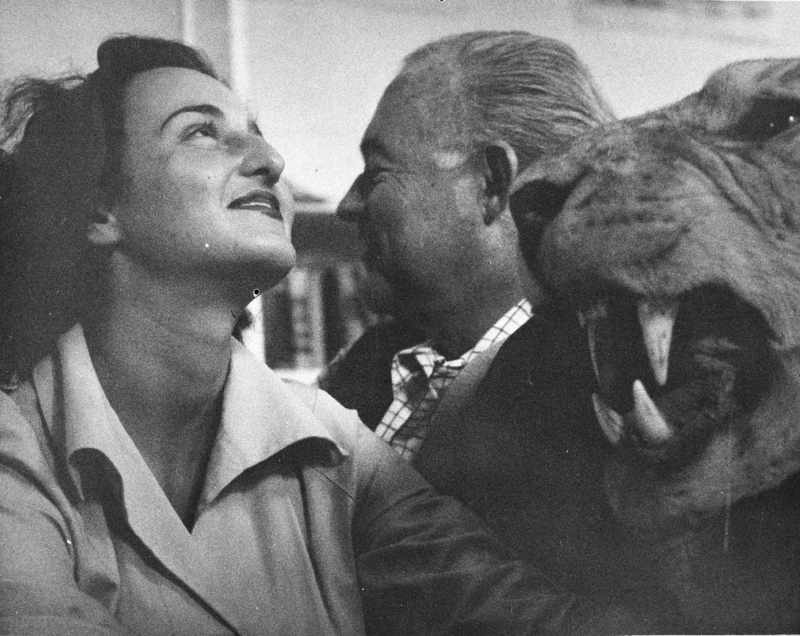 Ernest Hemingway and Adriana Ivancich with stuffed lion. Finca Vigia, San Francisco de Paula, Cuba. Copyright unknown in the Ernest Hemingway Collection at the John F. Kennedy Presidential Library and Museum, Boston.